Spooktacular Halloween craft for kids. 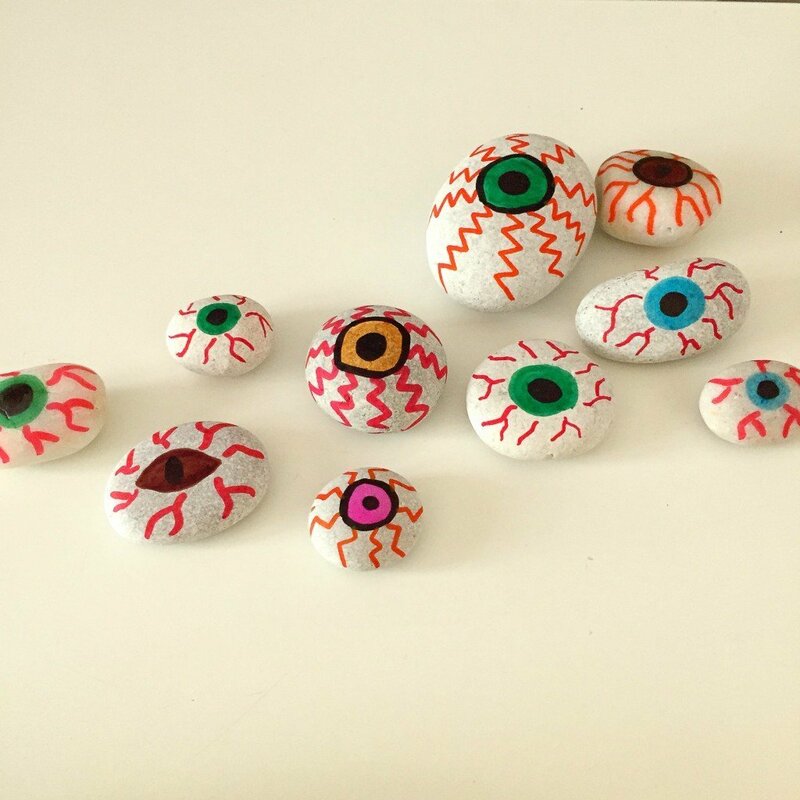 Painted pebble eyeballs makes a fun little Halloween activity and look really gruesome packed into a jar or scattered around as a Halloween decoration. 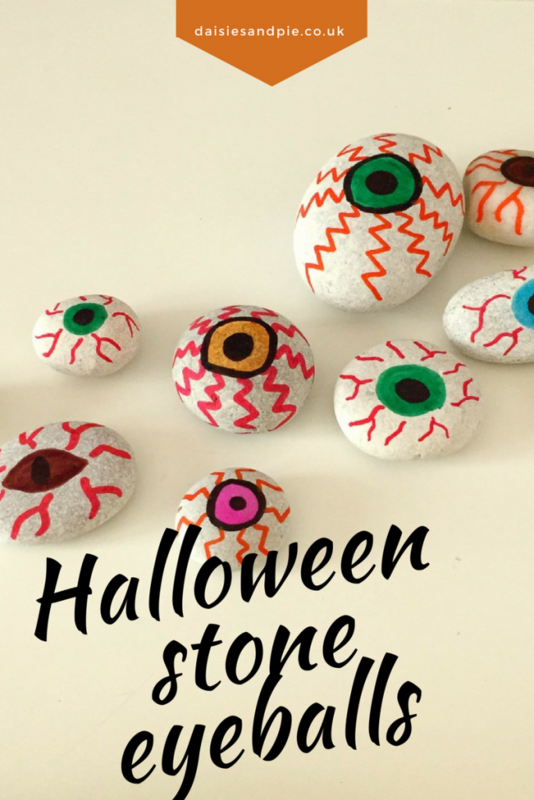 Older kids particularly love to make these! Make sure your pebbles are dry. 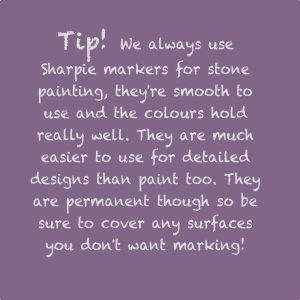 Draw on the coloured iris – any colour you like. Add some gruesome blood shot veins. Colour in the black pupil. 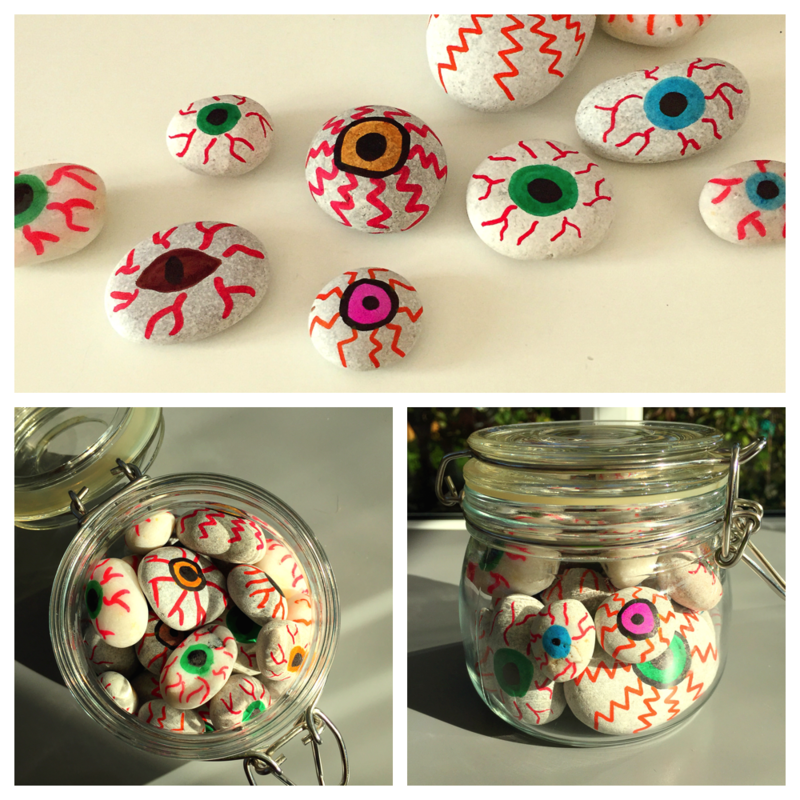 Pack your eyeballs into a jar or scatter them around the house for a quirky homemade Halloween decoration.